Hello Friends! 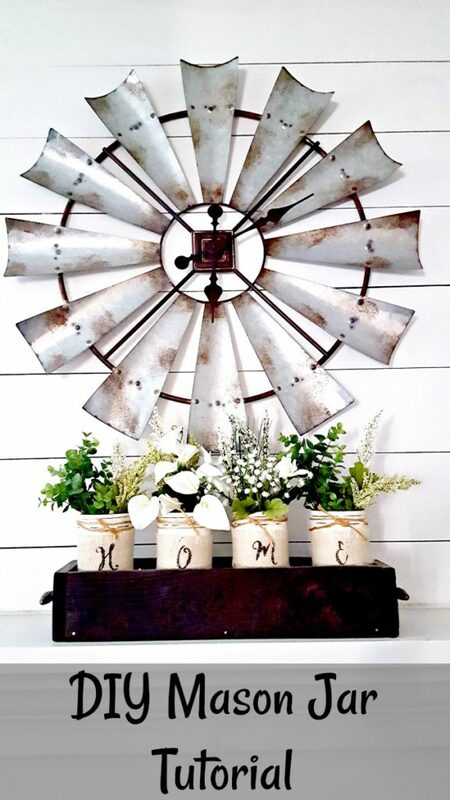 Want to know a super easy and cheap way to make cute home decor?? 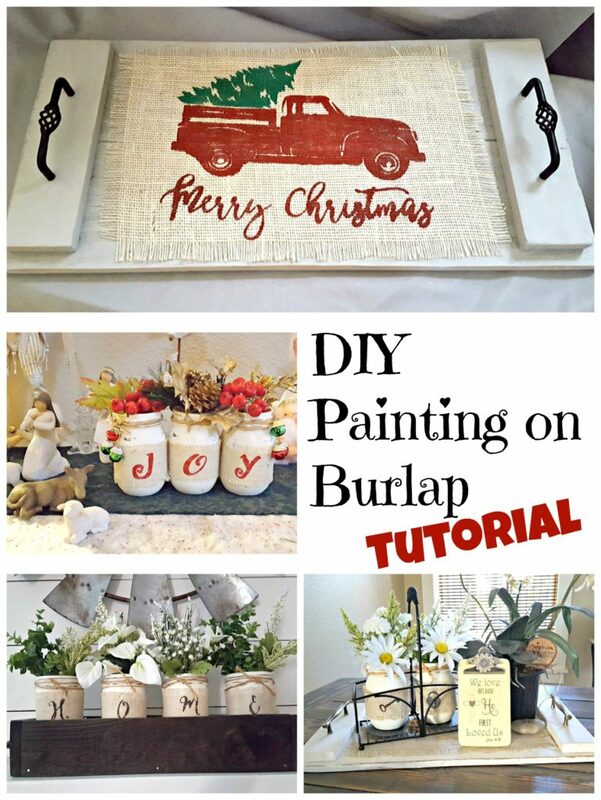 Use burlap!! It is so versatile and cheap. 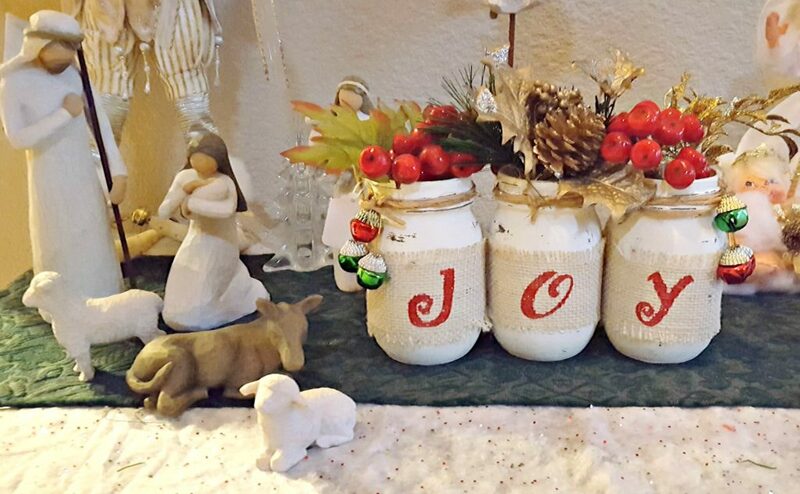 I love painting mason jars and putting burlap around them with painted words or symbols on them. 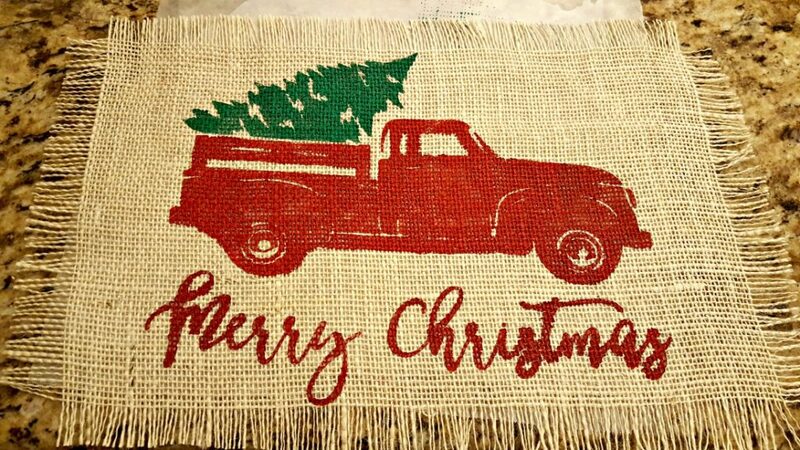 It’s so fun to be able to change them up for the seasons and to find different ways to use the burlap. 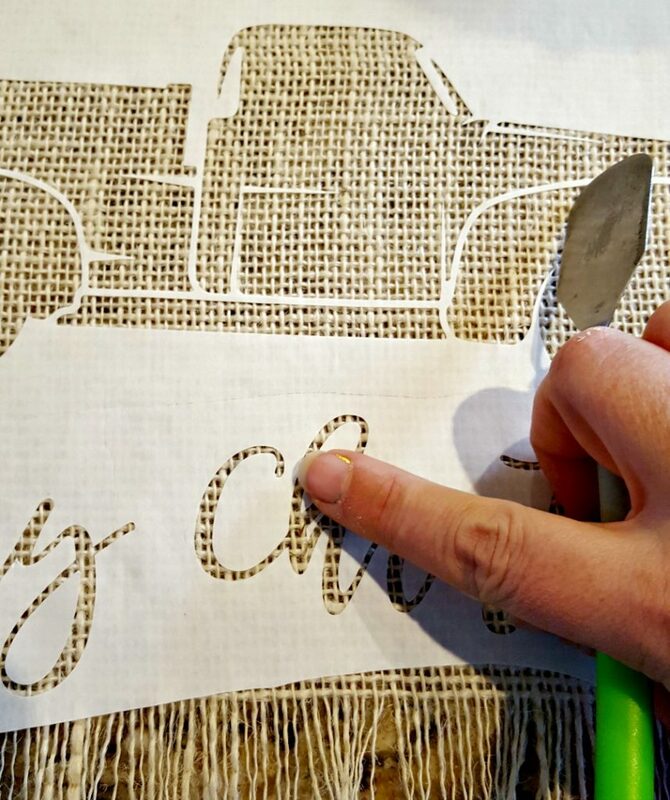 Check out these different ways I’ve used burlap in my house and read on for a painting on burlap with freezer paper stencil tutorial! Burlap – I get mine at Joann’s Fabric. Make sure you use your coupon! 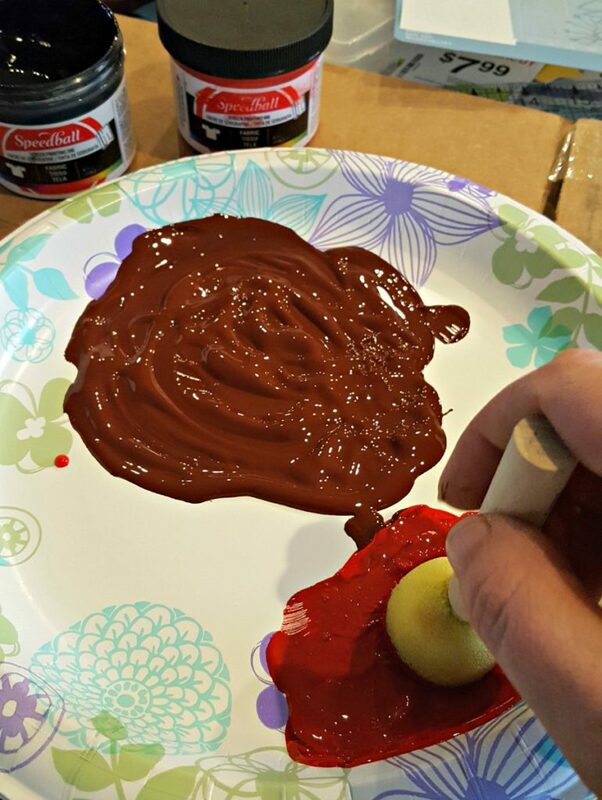 Paint – I use Speedball fabric paint but I’m sure you could use acrylic paint. 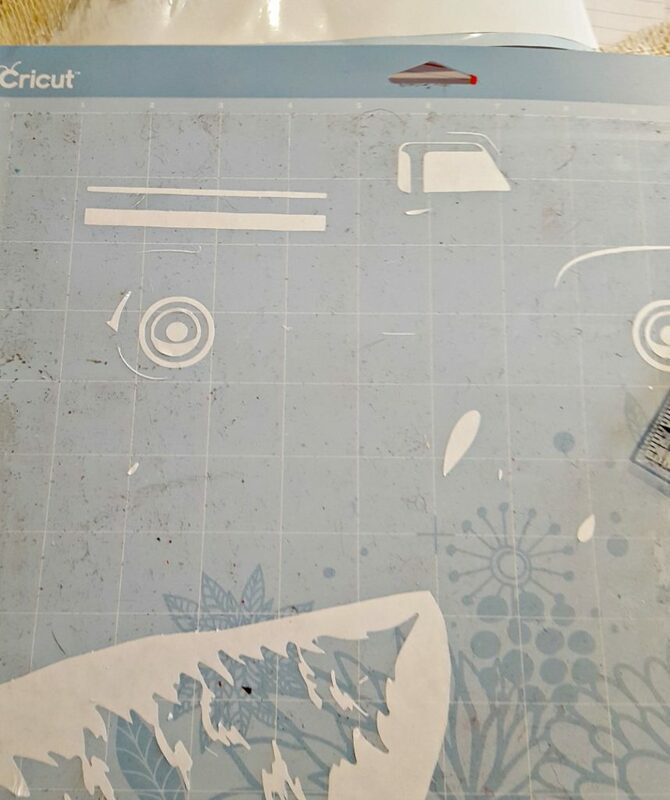 First thing you always need to do is find what image you want to paint and cut them out! If this is your first time, you might want to start easy with letters or single objects. 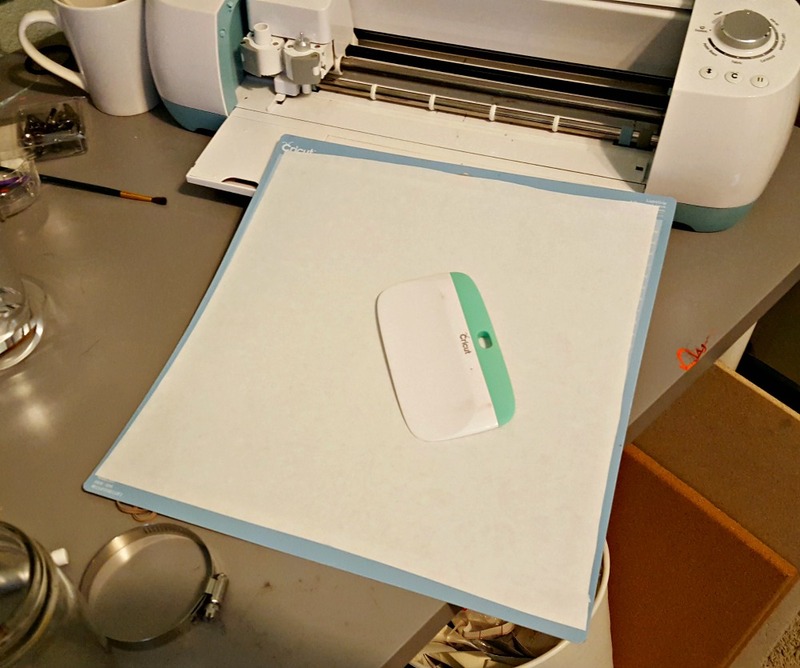 Roll out freezer paper and apply it shiny side down on your mat and cut out images with Cricut. I have used different settings when I cut. You probably have to make a few sample cuts to see what works for your machine. I have found that Iron On works well for my machine. It is a thin cut so something between thin paper to iron on vinyl. Make sure your blade is nice and sharp. I usually will stick mine in a ball of foil a few times to sharpen it before starting. 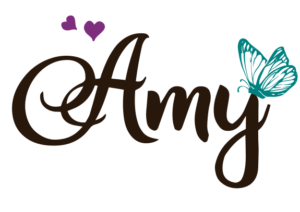 For these, you are using the negative space like a stencil so you want to make sure you have some space around each image. I space them out on my page before I cut so I know I’ll have a half an inch around each letter. 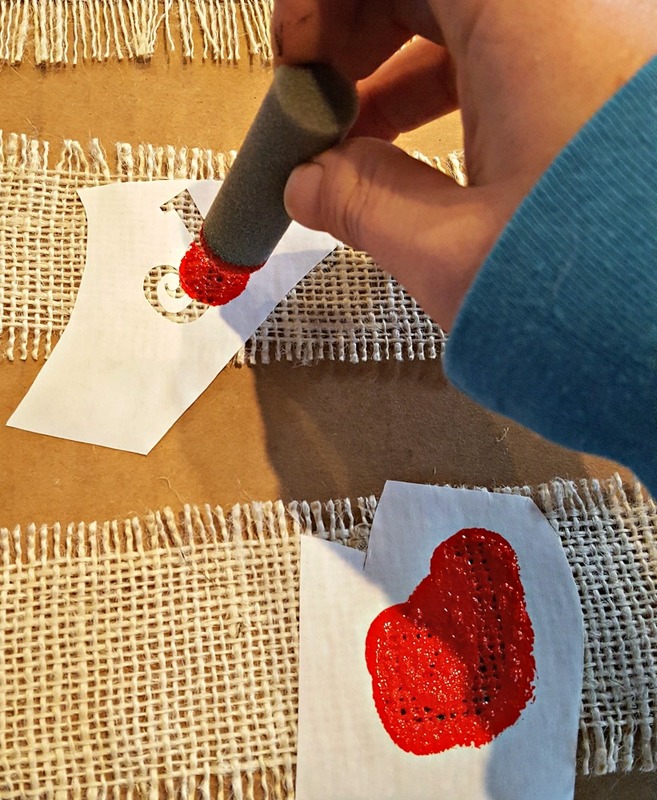 Weed out the inside parts of your freezer paper stencil. I then take a razor and cut around the images leaving space all around the image. 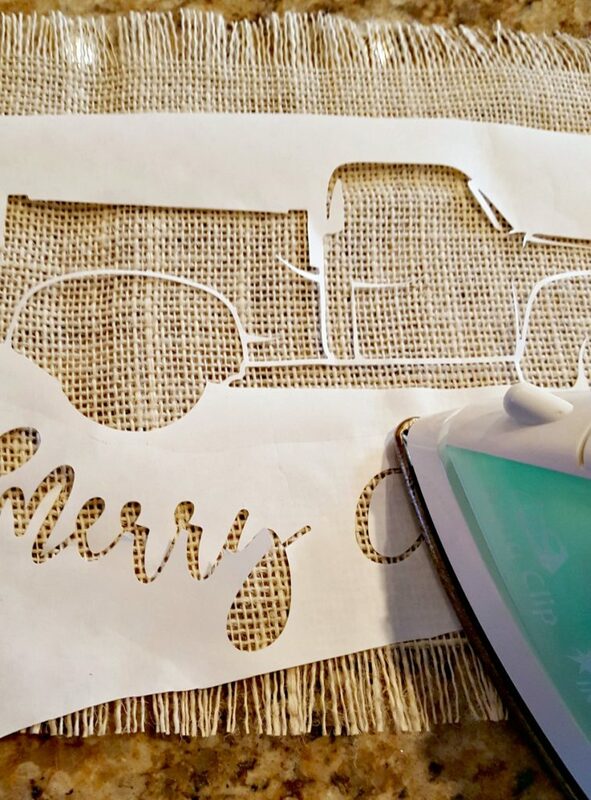 Have your burlap or whatever fabric you want to use ready and your iron hot (cotton setting). 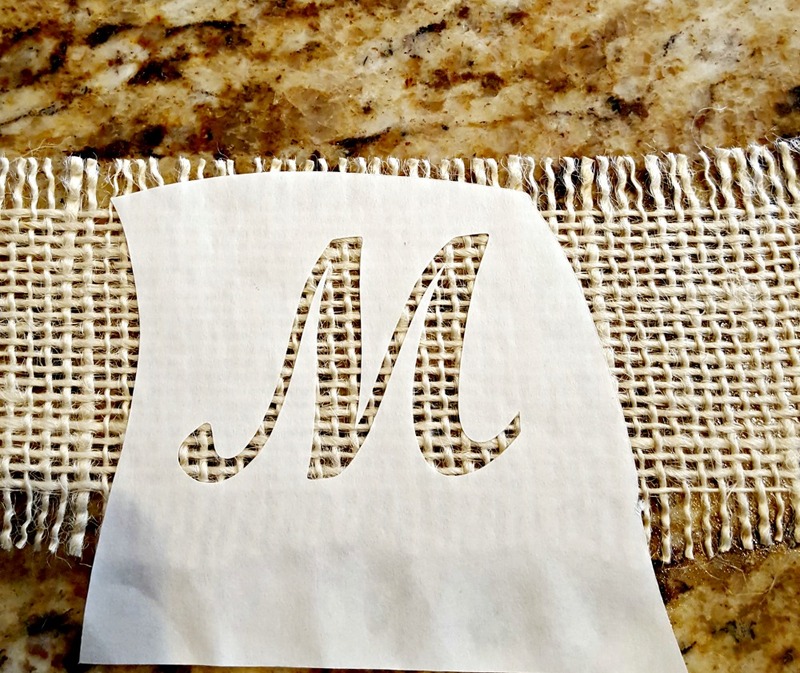 If you need help with how to cut burlap, check out my post here. 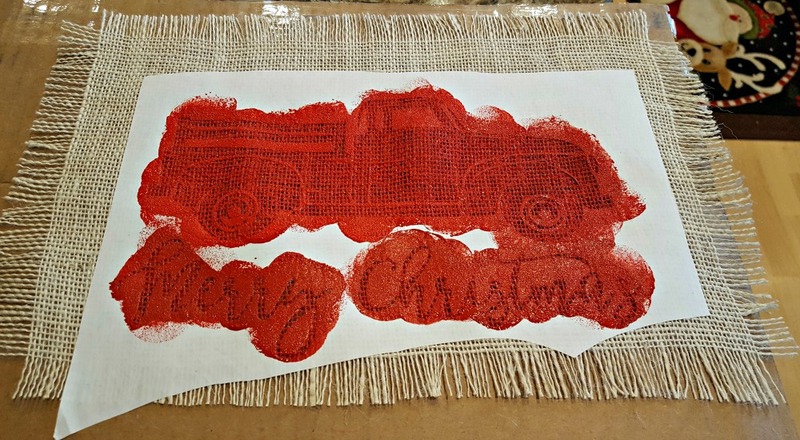 Then you are going to lay your freezer paper stencil on the burlap and iron it down. The wax side adheres to the burlap and forms a seal! It’s so cool! It doesn’t take a long time. You will see the bonding after a few seconds. 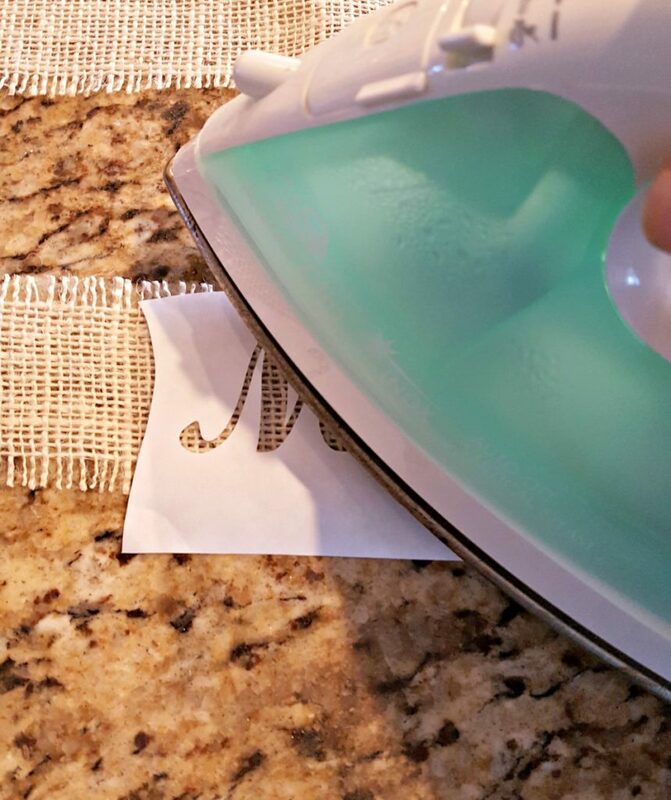 After you peel off the freezer paper some of the inside objects or parts of letters will remain on the mat. I iron on the big pieces first and then apply the smaller pieces one at a time and iron. If you are doing two colors that are close together like the tree and truck in my example, do the big one first. Once everything is ironed down, you can start painting. 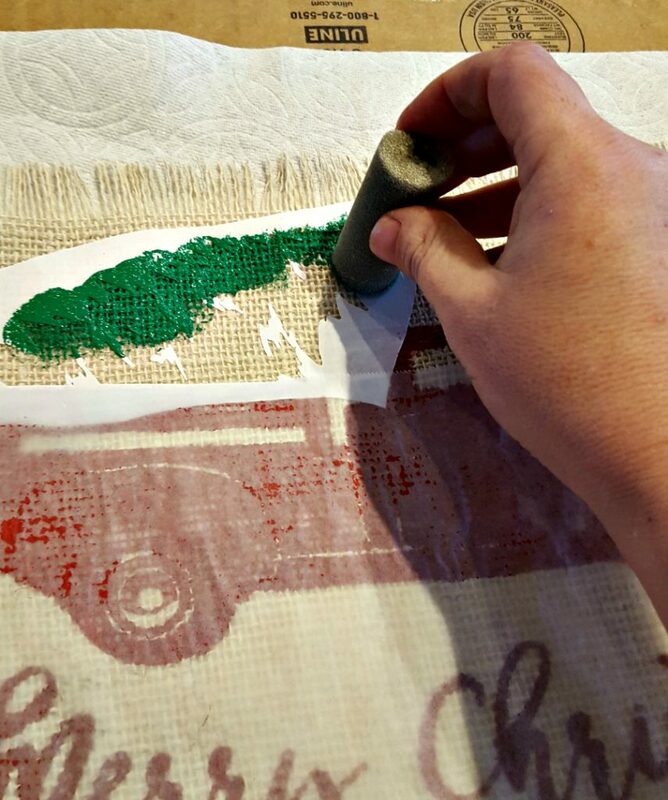 Put a piece of wax paper or something under the burlap so you don’t paint your table! I put a bit of paint on a paper plate and use a blotting sponge. So I blot up and down. 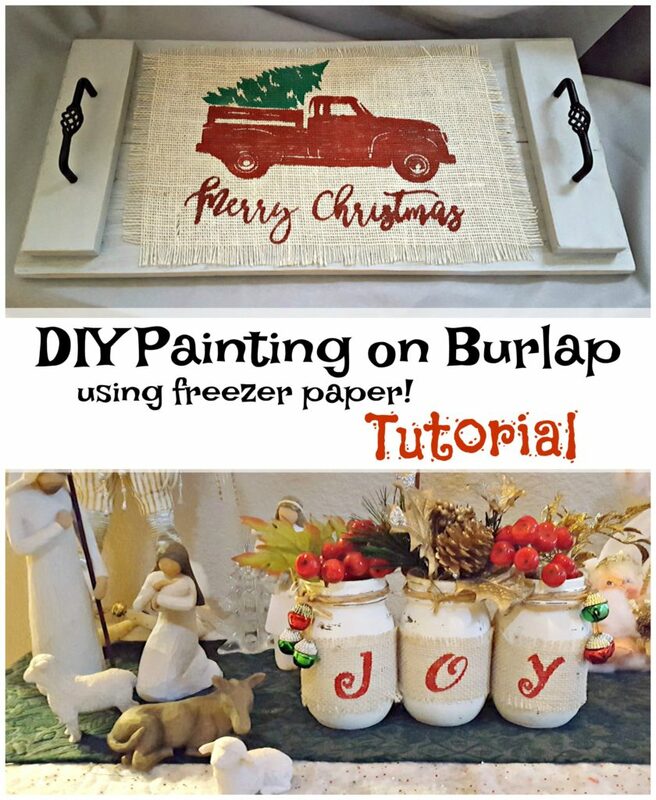 Make sure you don’t get too crazy and paint over the edge of the freezer paper! Make sure you have the paint in every space you want it. Let the paint dry and then you are just going to peel up the paper. For the extra little pieces I found it easier to use my weeding tool to get them off. If you’re doing just one color, you are done! 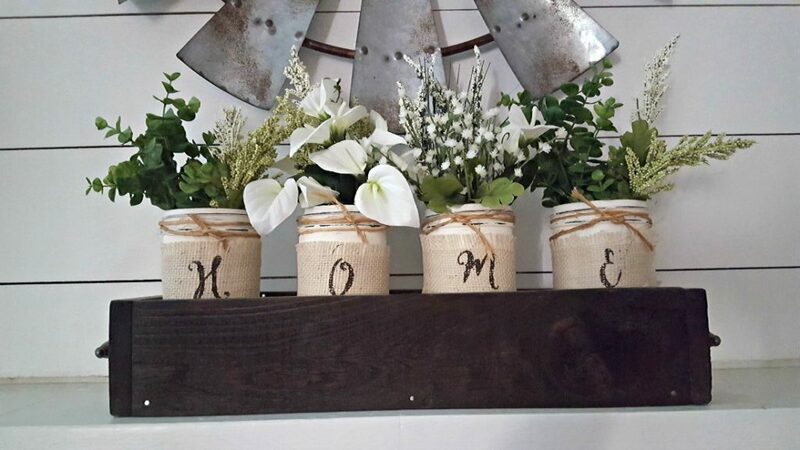 Wrap the burlap around some chalk-painted mason jars and you have rustic and cute decor! It’s super easy to make a wood box and you can use them for so many things! 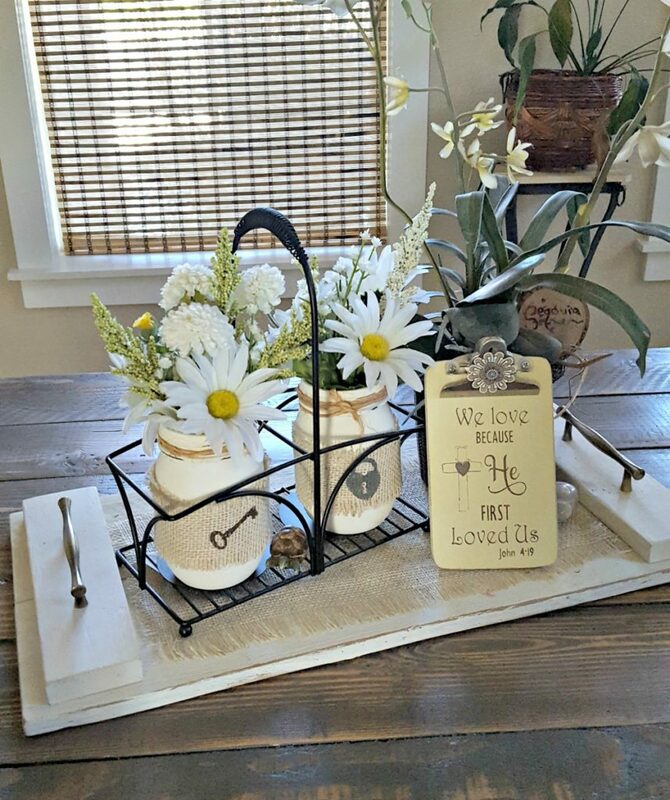 Check out my post here on how to build one and here on ways to decorate with them! 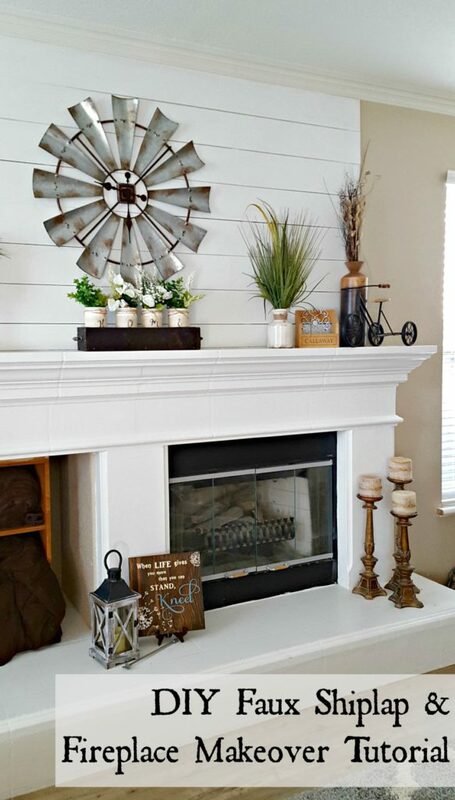 This box lives on my newly remodeled mantle – click here to find out how easy it is to update your mantle! This is my centerpiece on my kitchen island. Light colors that stand out from my dark cabinets. I made the little clipboard sign too. Check out my tutorial here on how to make your own! **If your design has two colors in it, simply let the first one dry and then iron on the other stenciled freezer paper. I put some parchment/wax paper over my already colored paint so that I wouldn’t spill any over. 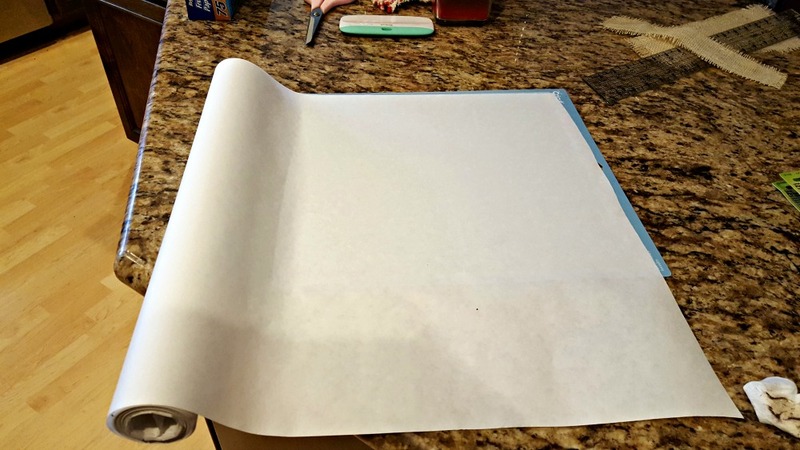 Once that is dry, take off the freezer paper and admire you’re work!! I made this to lay on a tray I built (tutorial to come!). 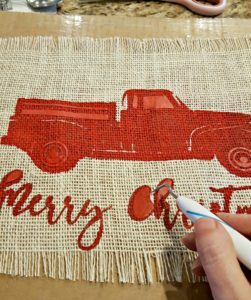 I can make different burlap painted designs as much as I want and easily switch them out. You can even make one for a cookies and milk tray for Santa! 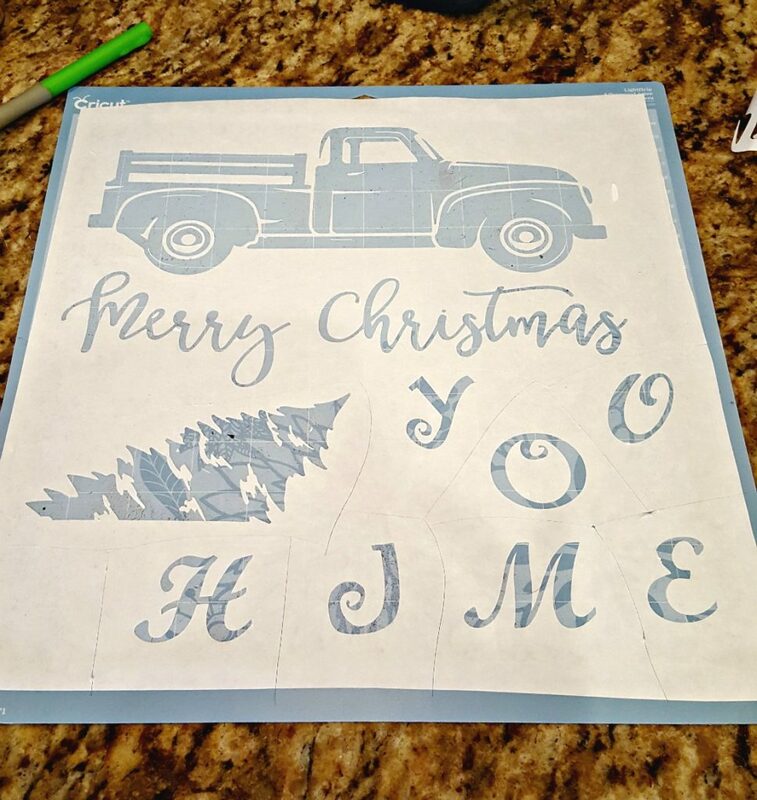 So many cute things you can make with a freezer paper stencil, right??? Inexpensive, easy, and elegant! 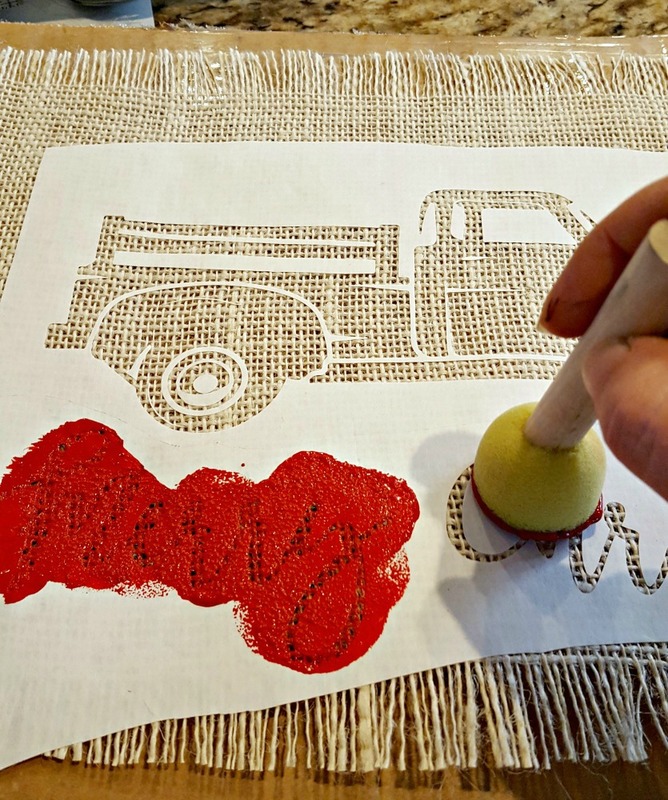 What would you paint on burlap?? I’d love to see pictures!